The Nike Classic Cortez Shoe is Nike's original running shoe, designed by Bill Bowerman and released in 1972. This version features a leather and synthetic leather construction for added durability. The Nike Classic Cortez Shoe is Nike&apos;s original running shoe, designed by Bill Bowerman and released in 1972. This version features a leather and synthetic leather construction for added durability. The Nike Cortez was Bill Bowerman&apos;s first masterpiece, built to be lighter and more weatherproof than any other shoe. In 1972, it put unprecedented cushioning under the fastest feet in the running world and quickly became the most popular training shoe in the USA. It was an unmistakable icon—a walking billboard that told your story and declared your affiliation—and came to thrive with fierce style on the streets of Los Angeles. 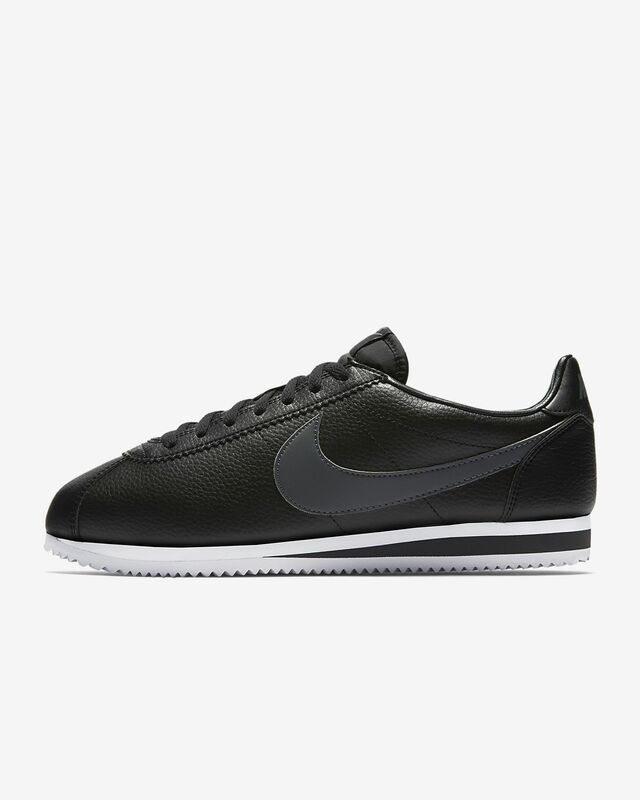 Since then, no shoe has expanded the definition of a running shoe quite like the Nike Cortez. 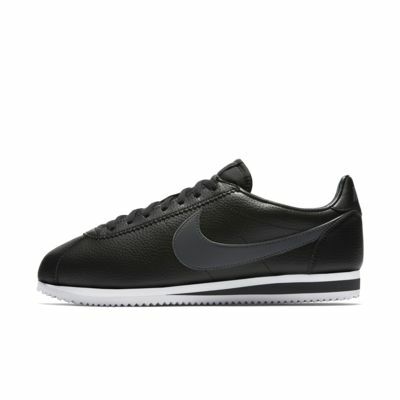 The Nike Cortez is Timeless Classic! At the risk of dating myself, I have been wearing the Nike Cortez since 1979. Although there have been slight changes over the years, this shoe remains a “Timeless Classic”. I say that because the original white leather shoe with the varsity red swoosh with the blue mid-sole highlight and the waffle sole checks all of the boxes for comfort, style and fit. I do miss the white bumper that was affixed to the front of the shoe on the original release, but other than that, I like the softer leather and the whiter white on the shoe. I don’t run in them anymore, even though I’m sure I could, but I keep 2 pairs in my closet and wear them very regularly! I will keep wearing them as long as Nike makes them available in Men’s Size 10. Je viens de les porter toute la journée et mon gros orteil est en feu. 90 euros mis à la poubelle... Dégouté pour mon 1er achat de chaussure par internet !